Sirius Satellite Radio (previously known as CD Radio) is a satellite constellation to provide digital radio to mobile receivers in north America. 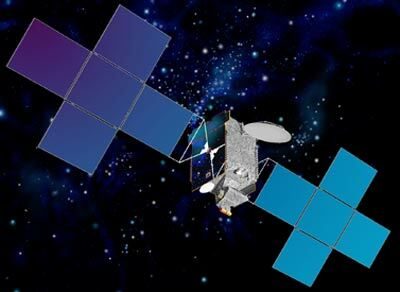 Space Systems/Loral (SS/L) is designing and building four satellites called Sirius FM1 to FM4 for CD Radio Inc., which is developing a new satellite-to-car, CD-quality, radio broadcast system for the continental United States. The contract called for SS/L to deliver the high-powered, digital audio radio service (DARS) satellites for launch in 2000. Motorists in cars and trucks equipped with CD Radio's revolutionary new antenna – the size of a silver dollar – will be able to receive broadcasts anywhere in the continental U.S. virtually without distortion. Signals will be transmitted via a new radio band, the S-band (2320-2332.5 MHz). The DARS satellites will be a new generation of SS/L's space-proven SSL-1300 bus. The Sirius Satellite Radio is the first constellation, which operates in an elliptical 24 h orbit ranging from a perigee of 23975 km to an apogee of 46983 km, inclined at 63.4 degrees (Tundra orbit) to provide higher angles of elevation in the northern areas of north America. The fourth satellite was built as a ground spare and was never launched. In October 2012 it was donated to the National Air and Space Museum’s Steven F. Udvar-Hazy Center, where it is put on display.